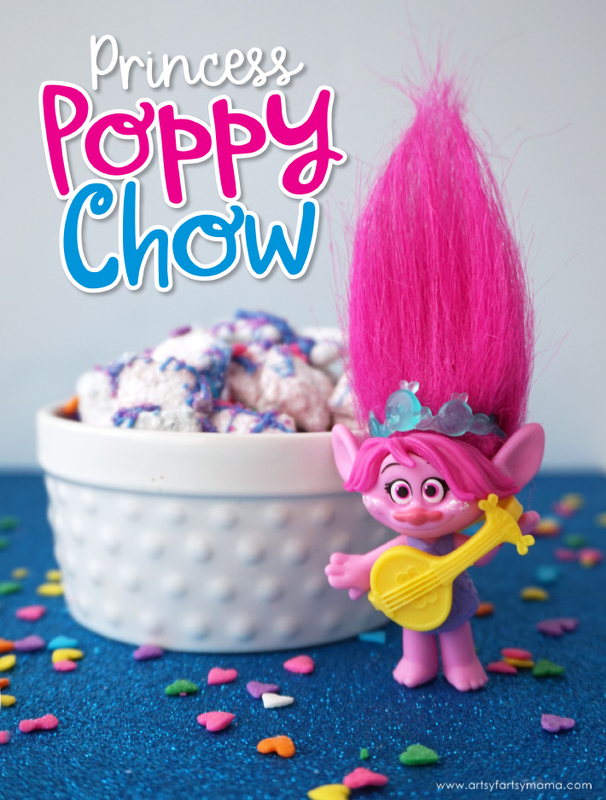 Enjoy some delicious Trolls "Princess Poppy" Chow while binge-watching Trolls: the Beat Goes On” on Netflix! Thanks to Hasbro for sponsoring this post. As always, all opinions are my own. If you love Trolls like we do, then we've got some exciting news for you! Trolls-mania is back with this year with the exciting launch of the Netflix series from DreamWorks Animation, “Trolls: the Beat Goes On”! New to the Trolls family is Amanda Leighton (This is Us) and Skylar Astin (Pitch Perfect) who are voicing and singing as Poppy and Branch in the series. Before we get to the delicious recipe, I wanted to share a few of my daughter's favorite sets from Hasbro’s latest DreamWorks Trolls products. 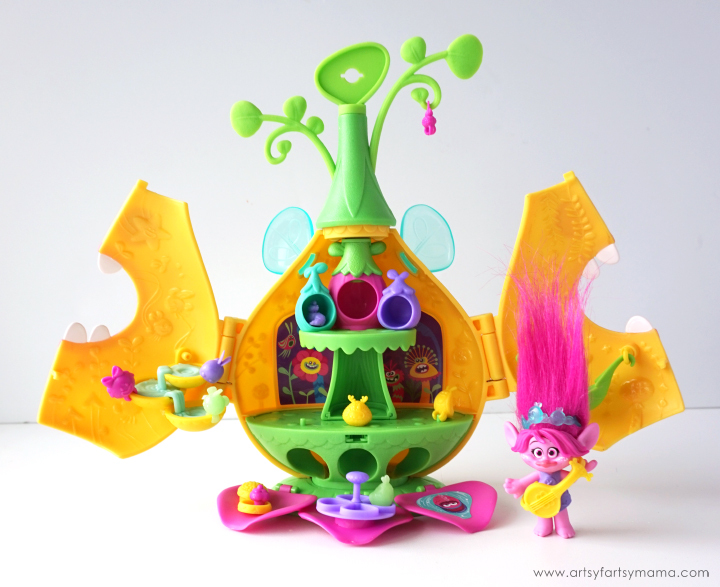 Kids will love playing with their favorite Trolls friends as they watch alongside the series! Everything is cupcakes and rainbows at the DreamWorks Trolls Camp Critter Pod! As soon as you unlock the pod, the petals "bloom" open revealing the playset. Kids can send critter friends down the critter slide, take them for a spin on the merry-go-round, wash them in the bath or hang out with them on the swing! 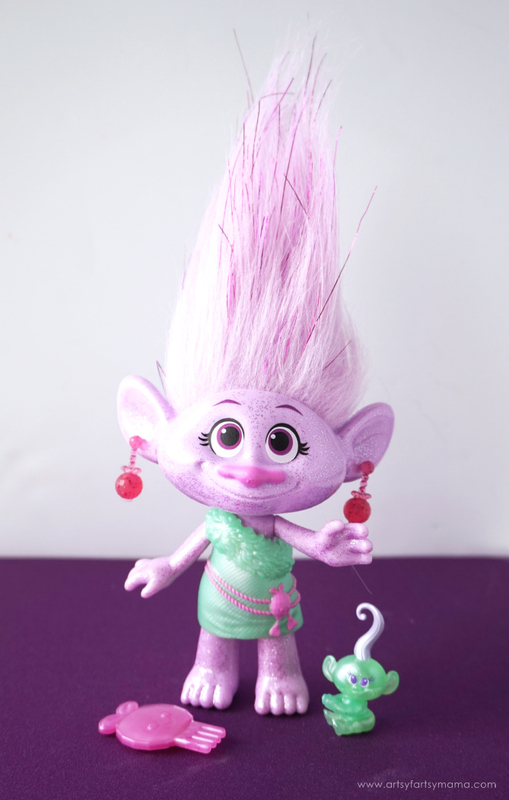 The set also comes with a totally fabulous Trolls Poppy figure that's about 5-inches from hair to toe. She comes complete with a ukulele, headband, cupcake and 8 critter friends to hide - some even glow in the dark! When you're done playing, the pod closes up and keeps all of the pieces inside. 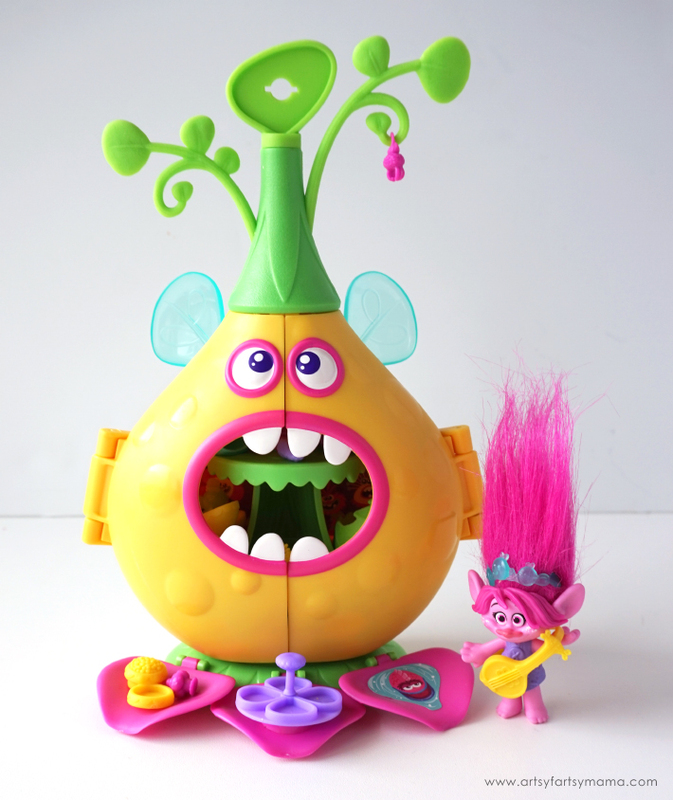 The Camp Critter Pod can also attach to DreamWorks Trolls Pod'ular Tree. Guy Diamond is one of my daughter's favorite characters. This glitterific character throws the best sparkly dance parties at the DreamWorks Trolls Disco Critter Pod! Send Guy rolling from party to party when you plug him onto the skitterboard, or plug him onto the pod dance floor and spin the wheel to make him boogie! Kids can also fit critters inside the mini pod, hook them onto the playset, and spin them like a disco ball! This set comes with a 5-inch DreamWorks Trolls Guy Diamond figure and 4 glitter critter friends to hide, hang and party with. You can also clip the critters and charm accessory to the pod or in Guy's hair for extra glam! This pod can also attach to DreamWorks Trolls Pod'ular Tree. 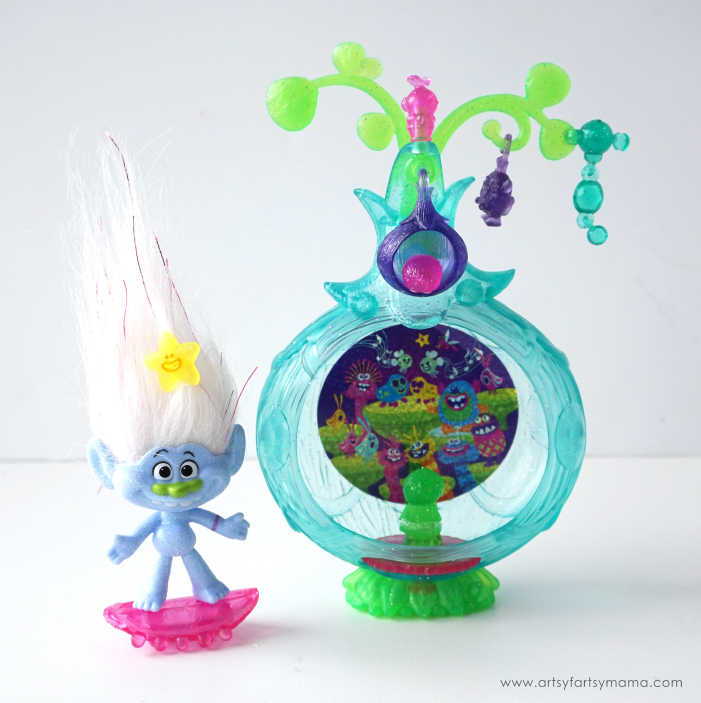 Last, but certainly not least - Put your hair in the air for DreamWorks Trolls Gia Grooves and Troll Baby! Now that the Troll Village and Bergen Town are living in perfect harmony, it's a party full of spectacular celebrations every day! This glittery doll comes with an adorable Troll Baby that you can clip and style into Gia Grooves's hair so she can take it anywhere. Gia is approximately 9-inches tall from hair to toe and includes a disco critter-shaped comb for extra styling. She also comes with extra-fashionable earrings and dress. Add powdered sugar and cake mix into a large Ziploc bag and shake to combine. Set aside. Pour one cup of Chex cereal into a mixing bowl. Melt 1 cup of pink candy melts in the microwave for 1 minute, then in 30 second increments until completely melted. Pour the candy melt over the Chex and use a spatula to stir carefully until all of the cereal is coated. Pour the coated cereal into the Ziploc bag and shake it around to coat the cereal in the powder mixture. 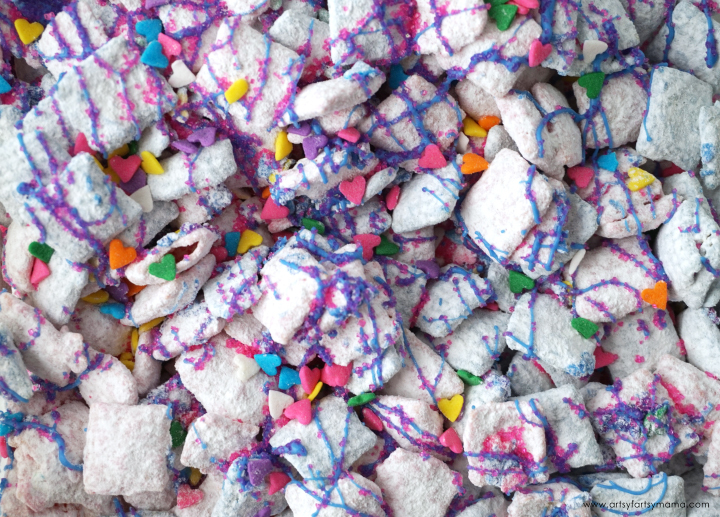 Pour the blue-coated cereal into the bag and shake to coat in the powder mixture with the pink cereal. Remove the cereal from the powder and lay it out on a pan or cookie sheet. Melt a few more candy melts (any color) and drizzle it over the cereal. 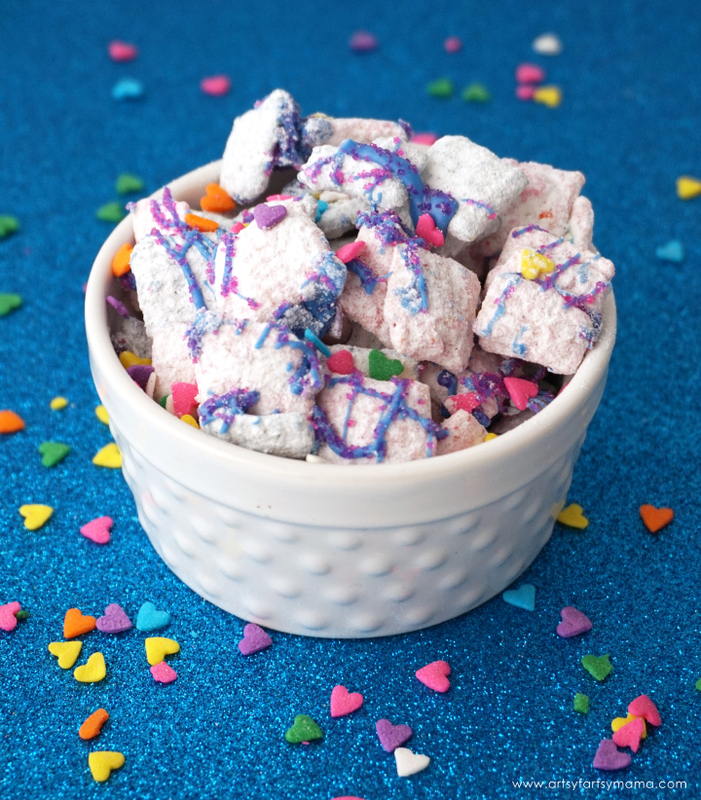 Immediately add colorful sprinkles! Sugar sprinkles will look glittery - just how Poppy would want it! *If you want more Poppy Chow mix, simply add 1 cup of cereal and 1 cup melted candy melts in the color of your choice. Mix together more sugar & cake mix if necessary. 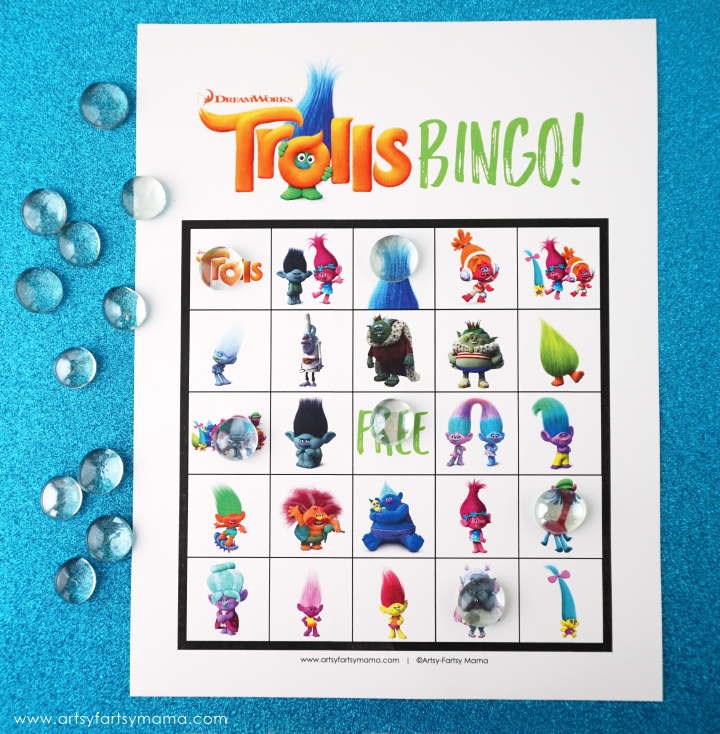 For more trolls fun, you can also download and play Free Printable Trolls Bingo! Who's your favorite Trolls character? This looks Yummy!!! Perfect snack for a family movie night!